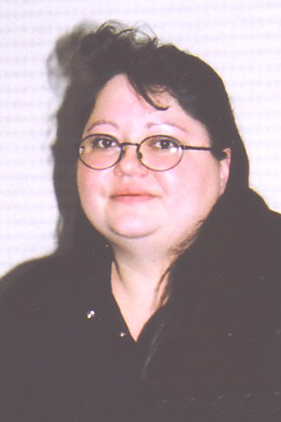 The RCMP are currently investigating the murder of 35 year old Melissa Ivy Chaboyer, which occurred in Thompson, Manitoba in November of 2005. On the night of Friday, November 25th and into the early morning hours of November 26th, Melissa Chaboyer was operating a white North Star Cab, # 302 in the City of Thompson. Melissa was a single mother and foster parent who resided in Thompson. She worked as a part time taxi operator in order to supplement her income. Shortly after midnight, Melissa was dispatched to a fare at the Thompson Arena. The caller and number of passengers was not known. A few minutes later, Melissa called her dispatch to report that she was going to stop at the Ramada – Burntwood Hotel. It is not known whether Melissa actually attended to the Arena, picked up any passengers, or stopped at the Ramada – Burntwood Hotel. The RCMP believe that at approximately 12:30 AM, Melissa had a fare and was transporting two people in her cab. She drove into the parking lot behind the City Center Mall in Thompson, was traveling Eastbound and passed a bank entrance. Melissa was attacked and killed by her two passengers, and was left lying on the ground outside of her vehicle. Her death was as a result of a stabbing. The two suspects fled on foot from the scene. They traveled across a field east of the Mall parking lot, and were last seen heading towards the Eastwood area of Thompson.